You can trace the 2250 roots right back to the first ever Regal produced back in 1969, it was at the Orlando site that Regal rolled out its first ever 21ft sports boat cuddy. The 2250 is testament to how far the US based firm has come. The 2250 has an aggressive look and feel to it from the outside but once you’re aboard the upmarket feel is all around you. There is a generous use of stainless steel around the cockpit most noticeable in the windscreen fittings, the helms position has a well presented instrument panel with an elegant finish that can be found on much larger craft. 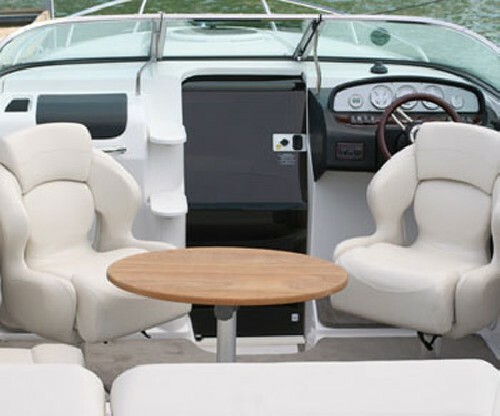 The 2250 has been fitted with a sliding acrylic door as seen on larger cruisers and provides a perfect natural light into the well fitted and elegant cuddy area. The 2250 can be powered by Mercruiser of Volvo units, however we would favour the diesel powered 190 hp Volvo D3 power unit coupled to the DP duo-prop drive good for a 40 knot top speed with a great range. 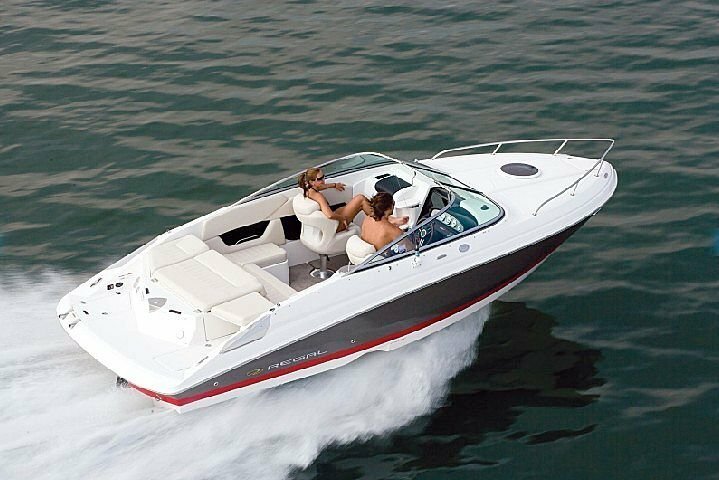 The 2250 is a great weekend sports boat perfect for a family day out or for couples who want that overnight stay. 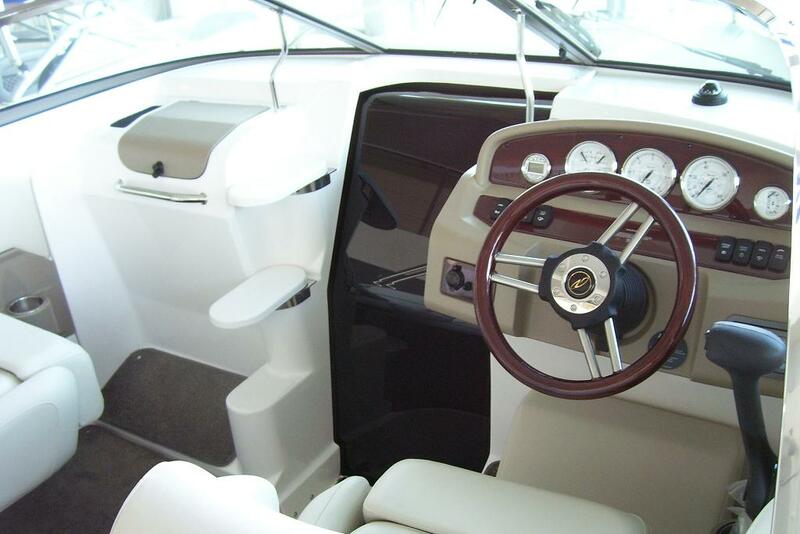 With an upmarket interior, plenty of room in the cockpit and a great sun and bathing area toward the stern, it would be hard to beat the 2250 as the perfect all round sports cuddy.